Elaine Hancock (Olney, United States) on 16 December 2018 in Transportation. Great action in this image! Speed and fun , a superb capture ! I love the spray of water that follows the big boat!!!! Beautifully captured !!!!!! 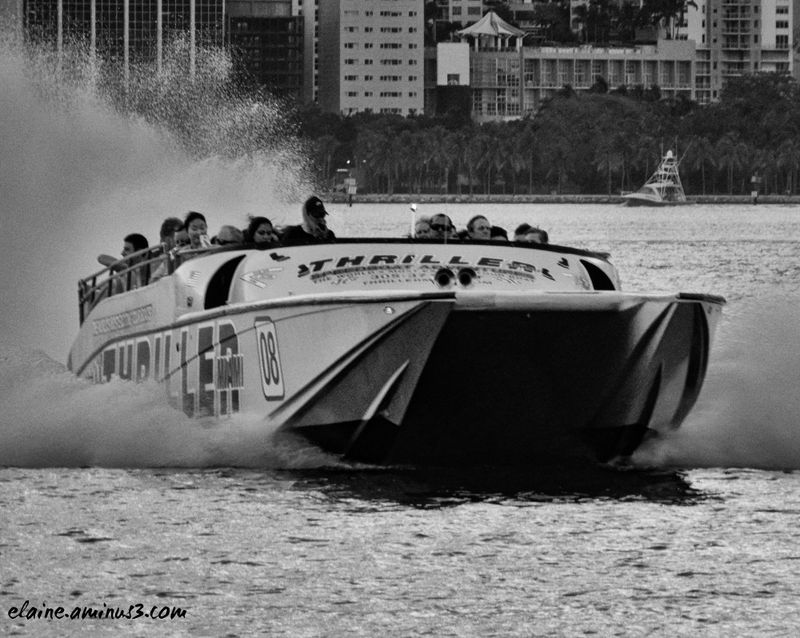 Looks like it promises a thriller ride, impressive speed boat. A thrill ride for sure. I like this in black and white. I imagine the thrills start when the speed kicks up. It looks very exciting. Dramatic PoV.